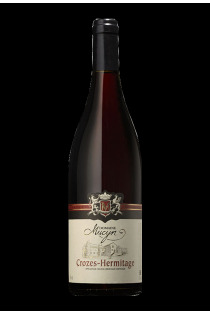 The field of Mucyn is born of the passion of Hélène and Jean-Pierre Mucyn who have decided to live their passion settling in 2001 in the northern Côtes du Rhône in the Hermitage. 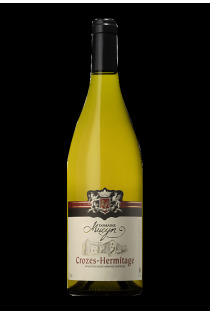 It is on granite Coteau, sandy clay loam on Loess and alluvial river-ice with siliceous pebble that the domaine operates 82% Syrah, 5% Marsanne, 10% Roussanne and 3% Gamay. 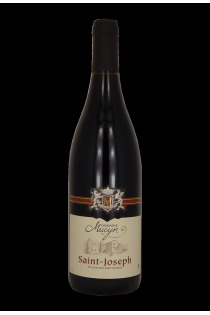 Their winery produces about 55,000 bottles per year Crozes-Hermitage red and white, St-Joseph red and white, red IGP Rhodanienne Collines. Their wines are likely to have been rewarded and recognized in the best restaurants. The field operates its vineyard in pest management and respect for the environment. They limit their yields and do not use any insecticide or organic fertilizer.